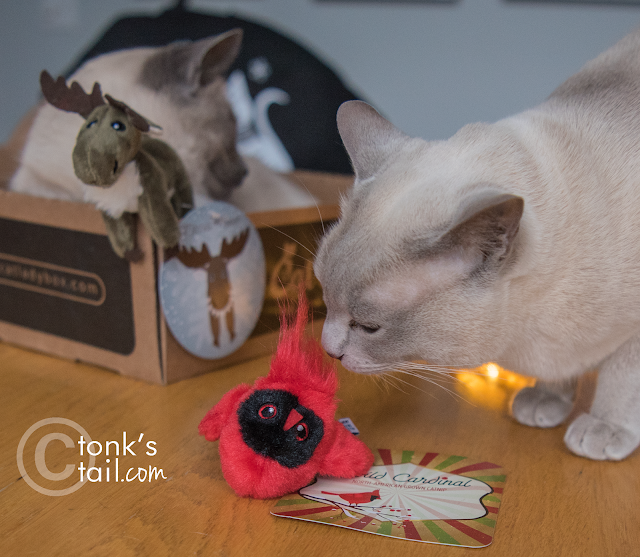 A Tonk's Tail... err, Tale...: Whose gift, again? What the lady wants, the lady gets! Maxwell, dude, I hope you stood your ground or the very least did a deal on custody..... double cream custard with nip. Mol. So, Allie isn't really into sharing, then?! Keep on battling it out! We love kitty disagreements...they are so very serious! Maxie, I thought you claimed the moose? Apparently the word share isn't in your vocabulary. Allie, you better put your cardinal in a safe place. That’s not the way to win friends and influence people, Allie! I expected a bite to the back of the neck, but smacky paw is just as effective. MOL! Maxie, you earned it, you own it... the whapping, that is! MOL, I think another birdie are needed. 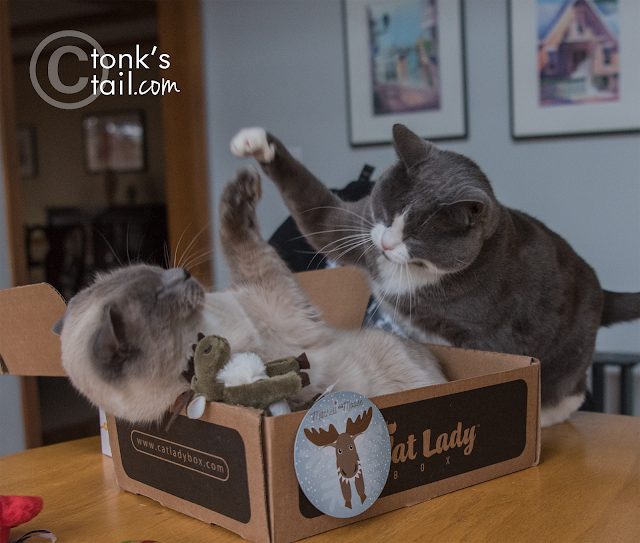 Looks like another fight-night, MOL! Tried Felliway? Better luck next time Maxie. 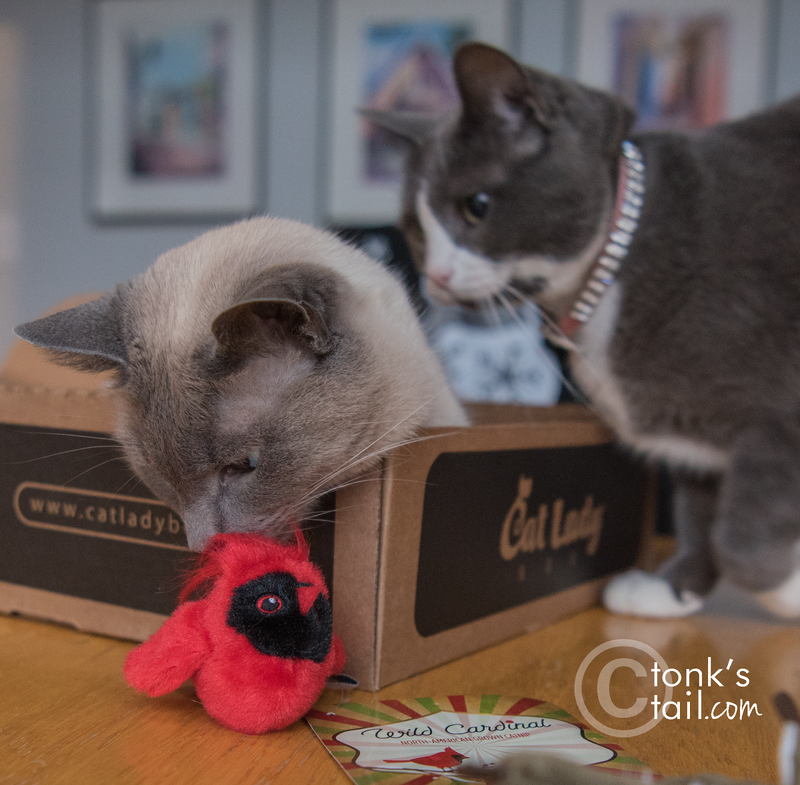 Maxie ... step away from the Cardinal ... STAT! Too cute! Our cats loved this birdie, too.